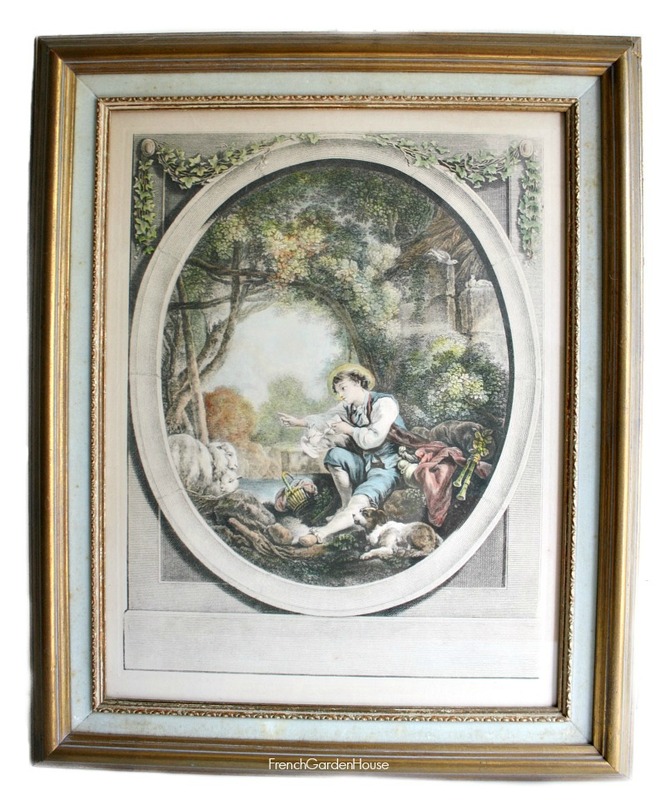 Beautiful Antique French Country style Engravings, with countryside scenes of a young man and a young woman, they are hand colored. 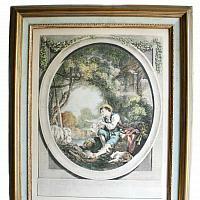 From an estate, these two are so decorative and charming, and in a rare to find large size. 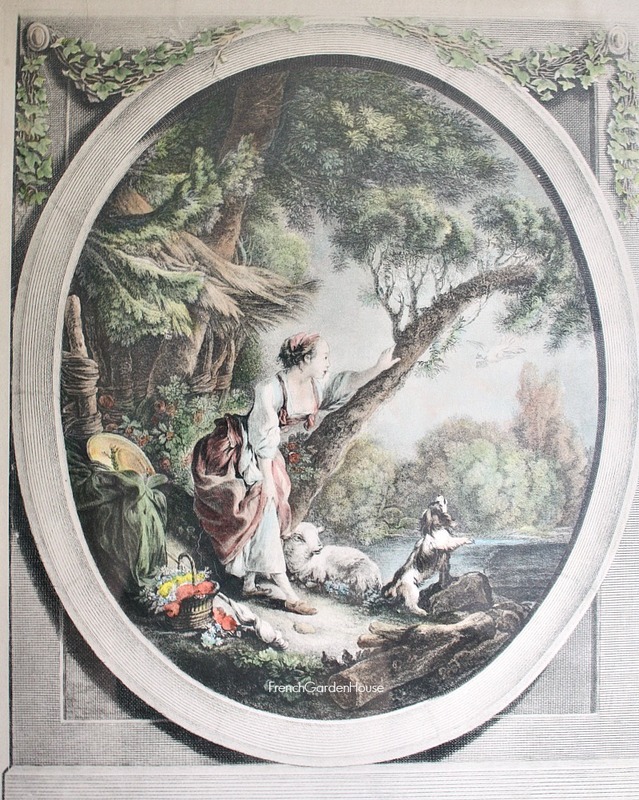 The prints depict rural French life, in one a lovely young shepherdess glances out over the river, her floral brimmed hat beside her, she has picked a basket of flowers from the garden, and her sheep and faithful companion, her dog, to keep her company. 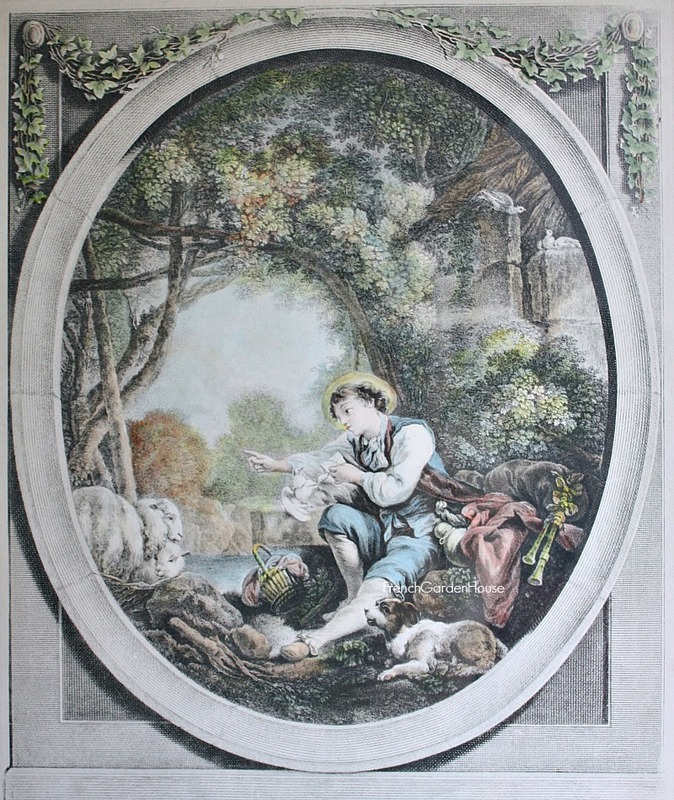 The other engraving depicts a young man, with his sheep and dog, who is intending to send a love note via a carrier pigeon to his beloved. 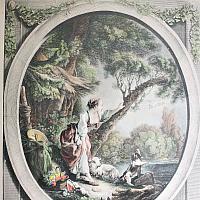 The prints are in wonderful condition, you can see the plate indentations like you should. 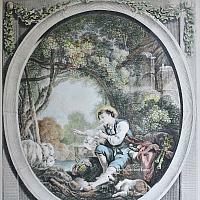 The colors are soft pastels of blue, green, rose, pink, gold, yellow and brown. 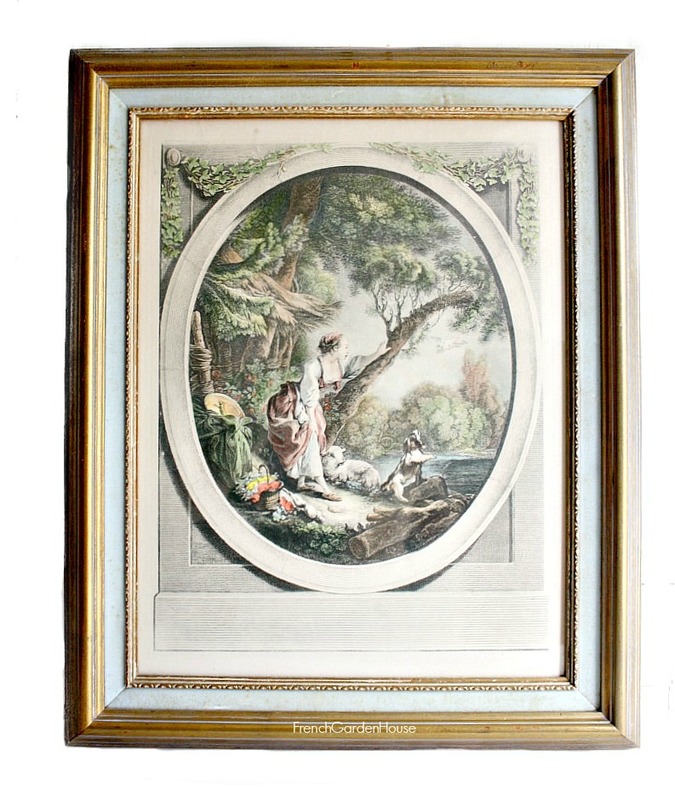 The frames are not quite as old, they were matted and framed in the 1960's, gold wood, the inside is soft blue velvet which does have some aging to it. You can either love it the shabby way it is, or perhaps glue a strip of fabric or ribbon over this. Please only buy these if you love the grace of time. 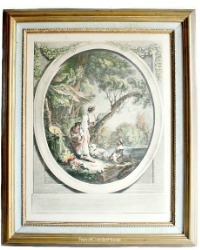 Measure 23" x 19" x 2".